This TimTam is a special edition produced by Arnott’s Indonesia and developed specially for South East Asia market (Indonesia, Phillipines, Malaysia and Hongkong). Didn’t know about this though, until a friend of mine in Sydney told me (thanks, Aimee!). So I thought…hmmm. Why not giving it a try? And post a little bit of review. And so here I am. Writing this post by the swimming pool, quite nice ey! On the front packaging, Cheese TimTam is described as sandwich biscuit with cheese flavoured cream coated with white chocolate. 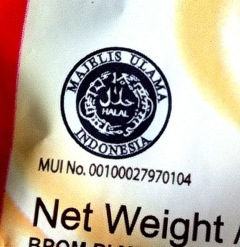 It also has the halal logo from MUI or ‘Majelis Ulama Indonesia’, which means it is suitable for consumption by Muslims. It does not contain pork and pork products. 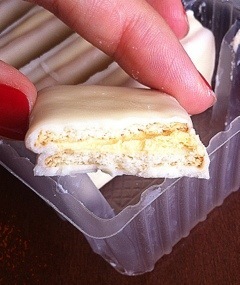 It looks like white chocolate TimTam. Somehow, I feel like this TimTam is smaller than the TimTam in Sydney. 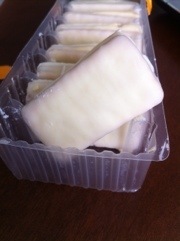 For taste, Cheese TimTam is so-so, I would say- it’s not something extraordinary. It could have been more cheesy and creamy. I personally thought that the sweet and salty combination between the white chocolate and the cheese flavoured cream filling is a bit imbalance. It’s me though. I am not a big fan of too-sweet-biscuits. My brother loves it and he could easily eat 2-3 biscuits. Ingredients-wise, Cheese TimTam contains sugar, wheat powder, cheese powder, which contains food colouring agent, food flavouring agent, etc. It does not declare that it contains wheat though, maybe because it’s not mandatory just yet. It does contain wheat flour, so it is NOT gluten free and NOT suitable for coeliac disease. 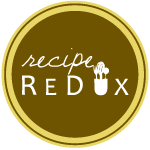 Based on the ingredient lists, it contains only cheese powder, not cheese in solid form, which might explain the lacking of cheesy and creamy taste. Sugar is the first ingredient to mention in the ingredients list, which means that sugar is the MAIN ingredient that makes up the biscuit. Sweet-tooth much? Nutritionally speaking, one biscuit contains 60kcal (30kcal from fat), 3g total fat, 1g protein, 8g CHO or 1/2 exchange), 4g sugar and 34mg sodium. 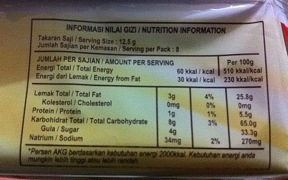 It’s a bit suprising that 1 biscuit equals to 60kcal, because I expected it to be more than that. Anyway, it’s not a good 60kcal. It’s high in fat and sugar, with only little to none protein. ← Happy New Year 2012! !